European-focussed Australian coal miner Balamara Resources Ltd (ASX:BMB) is considering parting ways with the ASX to give its Polish coal mining projects a better chance at success as they accelerate toward production. BMB has just received a completed Pre-Feasibility Study for its flagship 120.6Mt JORC resource Mariola coal mine which says it can establish a 2.7Mtpa mine for A$100M that could generate A$1.13BN free cash over a mine life of 15 years. Meanwhile to the east of Poland, BMB’s largest project, the Sawin Project, has just received its maiden JORC resource, a very sizable 1.2 billion tonnes (inferred). A Pre Feasibility Study has already begun here and is due for completion by the middle of 2015. BMB’s third project, Nowa Ruda, has also received encouraging drilling results showing thick coal seams throughout the main deposit, giving a boost to its efforts to establish a JORC resource there. 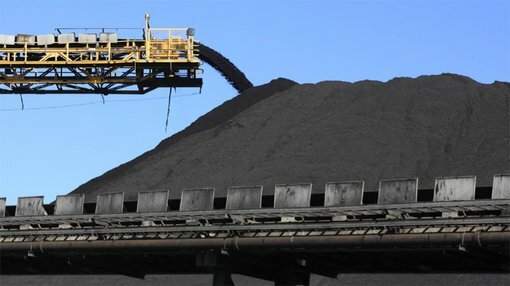 Despite this progress, BMB says the negative sentiment of the ASX toward coal and junior resource companies means it has a share price that is considerably lower than its asset value. By staying on the ASX, BMB could end up massively diluting its current shareholders as the company raises more significant funds ahead to establish it’s first coal mine at Mariola. BMB is not prepared to do this and plans to remove itself from the ASX for a 12-24 month period as it completes development and first production. The Pre-Feasibility Study (PFS) BMB has received for Mariola established the project as a world-class resource. The PFS says for an A$100M outlay, BMB can establish a 15 year mine producing 2Mtpa, giving it a projected free cash flow of A$1.13BN. This is based on production costs of US$45 a tonne and sale prices of US$68 a tonne to Poland’s domestic coal sector, a US$23 margin. BMB says it will now progress Mariola to the Definitive Feasibility Study stage, and aim to bring the mine into production by the end of 2016. Previous foreign resource estimates suggested a sizeable resource at BMB’s Sawin Project, and now this has just been confirmed by news of a maiden JORC resource. The Sawin Project now stands at 1.2 Billion tonnes (JORC inferred), derived from studying 54 historical drill holes. BMB has already commissioned a Pre Feasibility Study for this project, expected to be completed by mid 2015. Infill drilling between the historical holes will allow the resource to be further defined. With its substantial volumes, the Sawin project represents a long-term boost to BMB’s production plan across Poland. Mariola will be the first mine BMB brings into production and it could sell its coal to the 15 coal-fired power stations in its vicinity as well as exploring opportunities for export to the European market. BMB’s third project, Nowa Ruda, is being developed to follow into production after Mariola and has a foreign estimate resource (official Polish geological resource standard) of 107Mt, mostly high quality hard coking coal. BMB is working with their technical consultant HDR Salva to deliver an updated JORC resource at Nowa Ruda following a 7,000m drilling campaign over the past 15 months. This updated JORC resource is due by the end of May and will form the basis for the PFS which is expected by the end of June. Seven holes have been drilled in total at Nowa Ruda, of which results are still pending for the last three, and there have been some very encouraging results with intersections of multiple seams as predicted, and thicknesses in excess of 5m in the 400-series seam at the Lech deposit. BMB says these results will underline the quality, scale and commercial viability of Nowa Ruda and this will be demonstrated in the PFS by mid-2015. Despite this considerable progress across all their projects, BMB remains frustrated at its stagnant share price and market cap, currently around $12.5M. BMB also worries that an unacceptable level of dilution will occur when it pursues funding ahead for further development and ultimately for production at Mariola, because of continued low share price on the ASX. This dilution could reduce existing shareholder value considerably if no action is taken to alleviate the problem, which is more to do with negative sentiment on the market than real asset value within the company. So in a strategic move, BMB says it will likely de-list from the ASX and raise capital for the acceleration of its coal projects independently. The company also says it may re-list on an appropriate exchange in 12-24 months once the Mariola coal mine is in production. The move will be put to a vote to shareholders at an upcoming General Meeting on 31 March.